What is next for Kovalev? 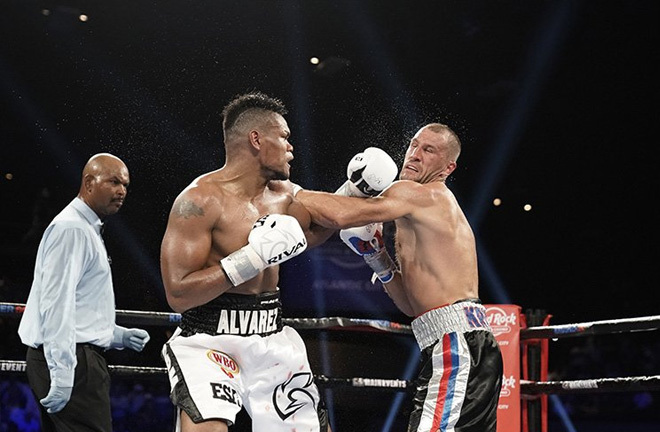 Former light heavyweight titleholder Sergey Kovalev is once again picking up the pieces following his stunning KO loss to Eleider Alvarez in Atlantic City, live on HBO on August 4. 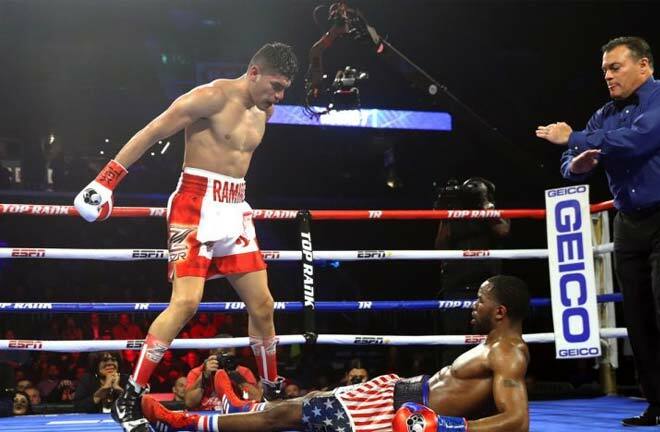 It is a significant setback for Kovalev, who fell to 32-3-1, with Alvarez rising to 24-0. 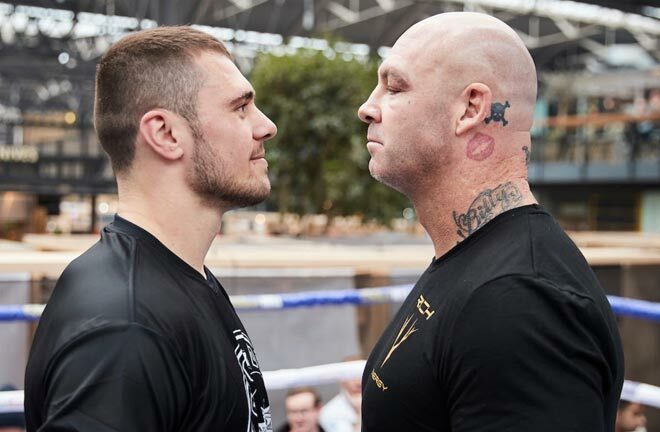 The feared Russian puncher had recently re-asserted himself as the consensus #1 light heavyweight before the defeat to Alvarez. Can Kovalev comeback from this defeat? Just a few years ago, Kovalev reigned supreme as the undefeated, unified champion of the 175-pound division. 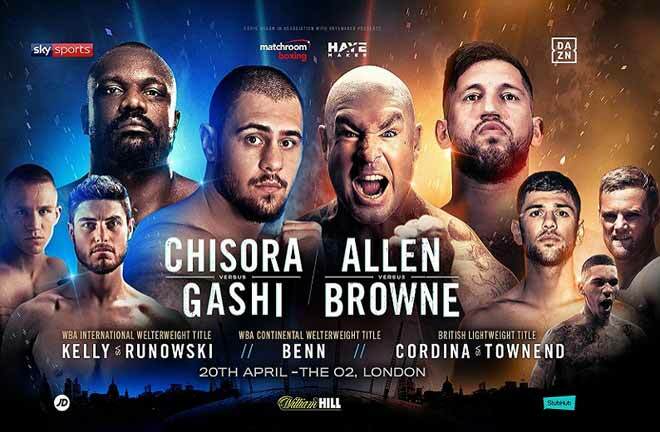 The Krusher had become a household name among hard-core boxing fans with his exceptional blend of thudding power and underrated boxing skills. 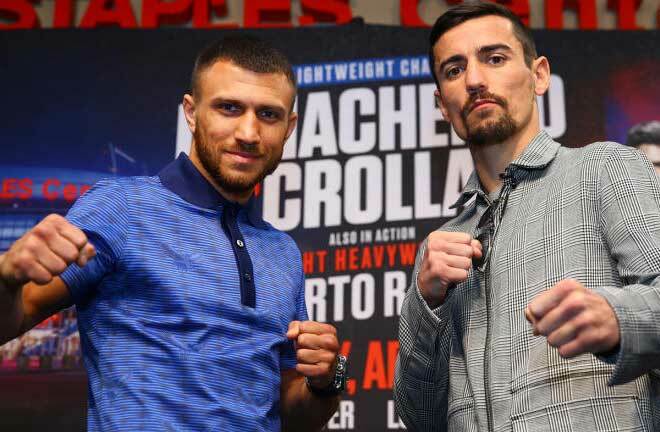 That is until the fateful night of November 2016 when he squared off against Andre Ward for the first time at the T-Mobile Arena in Las Vegas. Kovalev scored the bout’s only knockdown in the second round but lost a razor thin decision as Ward rallied down the stretch. Team Kovalev fiercely protested Ward’s win and a rematch was set. The two met again seven months later and Ward came out on top. This time only by an 8th round TKO victory. At the time of the stoppage, Ward was ahead on two of the three judges’ scorecards. He also made the most notable adjustments in their sequel by employing a vicious body attack approach to set up the huge right hand that signaled the end in the final round. You can legitimately argue that both losses were controversial and that the second fight was especially marred by Ward’s obvious low blows. 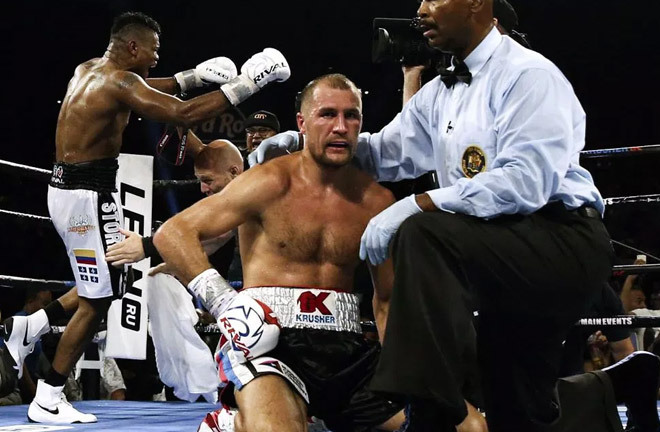 However, a loss is still as loss and that bitter truth has played upon Kovalev’s psyche. Kovalev rebounded nicely afterwards going 2-0 with a pair of devastating wins over Vyacheslav Shabranskyy and Igor Mikhalkin to recapture his WBO title. Furthermore, this paved the way for the clash with Alvarez. Interestingly enough, Kovalev and Alvarez both wanted a fight with world champion Adonis Stevenson. For years, the biggest fight in the division had been a unification bout between Kovalev and Stevenson. 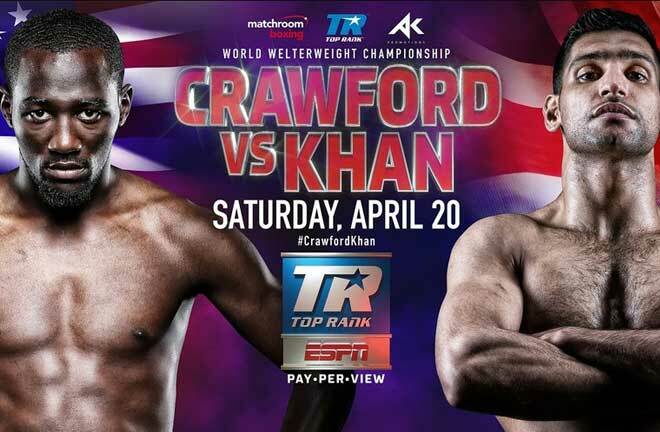 Both fighters originally fought on HBO but hope for this matchup ended after Stevenson switched to Showtime and the Haitian Canadian has since appeared reluctant to make the fight. Alvarez, who, like Stevenson, is based in Montreal, was his mandatory challenger for more than two years. They also share promoter Yvon Michel as well as influential advisor Al Haymon so an All-Canada fight should have been easy to make. Right? Well, not quite and that huge title affair ultimately fell through for reasons unknown. Alvarez was certainly a deserving challenger but few viewed him as a major threat to the division’s top dog. Kovalev was the betting favorite and logical pick with his obvious edge in power but the undefeated Colombian fighter had other ideas. Kovalev remained ahead on the scorecards throughout the first six rounds. However he was dropped by a monster right hand in the seventh. Sergey gamely rose to his feet but was dropped two more times prompting referee David Fields to wave off the action. Kovalev’s once certain pathway toward title unification vs. WBA champion Dmitry Bivol was shattered just like that. At age 35, Kovalev is at an interesting place in his career. The Russian has not quite been the same since those consecutive defeats to Ward. He is oddly battling for relevance even after being one of the sport’s top pound for pound fighters only four short fights ago. Alvarez sprinted around the ring in celebration, as Kovalev lay crumpled on the canvas with the look of utter dejection on his face. That image will linger in the minds of many for some time to come. 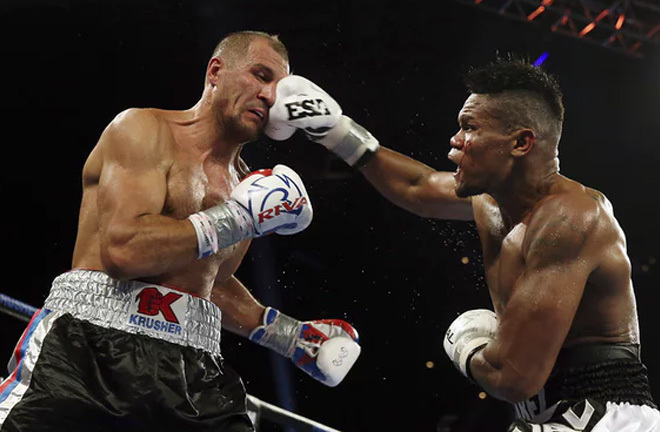 The potential for the big KO is always there with a puncher like Kovalev. However it may not be enough to salvage his boxing career.